LondonJazz News: This new album feels very strongly like just that: an album! Did you always have that structure in mind? Or was it a happy accident after the event? Sara Colman: Whilst I think it was a happy accident, it’s possible that something subconscious was going on. I think the singer-songwriter/‘70s pop albums I listened to a lot as a young person were often very crafted in terms of song sequence, they were organised in the knowledge that listeners would most likely listen to one side and then the other... I think that has happened here and although it wasn’t deliberate maybe it was inevitable! LJN: Most of it is original material of yours, with various collaborators. I know you did some serious song-writing studies a few years ago. Are we seeing the fruits of that here? Writing comes easily to some, and is a really hard process for others – which are you? SC: Writing definitely does not come easily! Collaborating made it much more productive and I really enjoyed working with my co-writers and arrangers on the songs – they all have very different ways of working and that was an intriguing process. Some songs have been evolving for years. Heartsafe, for example, started off as a song called Eyes Wide Open several years ago. I played it live and it worked but it wasn’t complete – playing songs live often shows you what works and what doesn’t. In that instance, one of things the song needed was a bridge – I’m a big fan of the bridge! I think a bridge gives you a chance to say something in a way that a verse and chorus aren’t set up for. It allows you to speak from a different perspective – Rickie Lee Jones says it’s where you tell the secret about the song. I agree! Studying showed me how to get past a block and how to craft a song. It showed me the aspects of songwriting that I do naturally and, crucially, holes that I fall into, things I do habitually, and how to helpfully critique my own work, how to re-write. I loved that MA – I wish it had been a continual course rather than just two years! I think I was very wary of collaborating, now I want to do more! LJN: Your band is very much the opposite of one meeting for the first time in the studio on the day. There are strong bonds between you? Tell me about your fellow musicians. SC: Well, it goes without saying that I think they are all wonderful musicians and talented in so many ways! Steve Banks (guitar) is my partner and so that makes for an interesting collaboration. Thankfully he is very patient as I can be very, very impatient! As I don’t play guitar he has to translate my ideas even when they are half formed! His piece Open is one of my favourites on the album. We had moments of joy expanding that from a solo guitar piece to the much bigger work it’s become. I have worked with Ben Markland (bass) for 20 years. He is a rock and such a stickler for detail. His ears are incredible and having him as an MD is a gift. He listens and plays a lot of different kinds of music so is always up for trying out new ways of approaching songs. He has also been a big part of the production of this album. Rebecca Nash (piano) is a new friend by comparison and a very important one. From the first time we played music together I knew we had lots more to do! She is so musical and so very creative and supportive. And she sings beautifully too! We wrote Dreamer together and we are collaborating on some songs for her new album with her band Atlas. Jonathan Silk (drums, string arrangements) is a new collaborator – he’s such a great guy and will go to all lengths to get things done and done right! The same with Jules Jackson – we co-wrote Trouble Out There and Jules did the string arrangement for that song. Another amazing player who I got to collaborate with for the first time. I was stuck with that song and he helped bring it to life! Adriano Adewale is the only person I had never really played with before. He’s such a gentle soul with a fierce lion of a musician inside! I love what he brought to the album. For this singer, drums can be troublesome – but not with AA and JS. We recorded the acoustic piano and the strings at the new Conservatoire in Birmingham. It’s a gorgeous space to record in and Ben engineered and ran the sessions. We asked the Carducci Quartet to come and play the four songs which have strings and they played beautifully. Percy Pursglove is such a brilliant musician, lyrical and dramatically expressive, perfect for these stories. He is such an inspiring improviser, I enjoy that so much in live gigs too. He also sings (he kept that quiet)! The invisible member of the band is definitely Nick Dover who owns Canyon Sound. Over a period of about six months I spent several weeks in the studio with Nick. I had never made an album like that before and it wasn’t my intention to do so until I had experienced working with him at that studio – then I knew that it would be a big part of the evolution of the sound. LJN: Among What We’re Made Of’s many strong attributes is a) the strings, and b) the stacked harmony vocals. Tell us about these. SC: Emilia Martensson and Anthony Marsden came and sang bvs on several songs – two strongly unique voices, equally beautiful, both with haunting and emotional qualities as well as being very different to mine. I wanted to be able to hear the character in each of the harmony voices rather than a homogenous bv pad sound, for this music – they were both amazing. [Paul Simon’s] Still Crazy After All These Years was a last minute idea and we recorded it around the piano, all together – live if you like. I love having a bit of that scruffy stuff on an album, a song where you can hear the pedal creaking on the piano and the parts are deliberately loose. For the song Strange Meeting I asked the band to sing too. They had to be a village! I also wanted that vibe on What We’re Made Of. The strings idea came in the development of Steve’s piece Open. I guess both strings and bvs add depth and texture. They also give the writer another chance to colour in the musical picture, they can reinforce a message, expand a theme, and in the arrangement of Heartsafe for example, the strings add to the rhythmic dynamic. It was a new experience and a treat to have time and space to experiment with strings and vocals. LJN: There are strong stories in these songs and it’s tempting to get the background on each, but let’s, for reasons of space, focus on just one: Echoes. It has its inspiration in one person and in a specific place, yes? SC: Yes. My very dear friend William Joss died in August 2015. We studied together at the Birmingham Conservatoire and he was a talented composer and songwriter. Around the same time the old Conservatoire building was being slowly demolished – sometimes that was quite brutal to witness, big metal machinery gouging out great chunks of the building I had sort of grown up in, I had known for more than 25 years as a student and a teacher. Will and I spent a lot of time making music together in that building and I imagined that it had all been absorbed by the walls and as they came down, so that music was released into the atmosphere – a bit fanciful but somehow a pertinent image. We had recorded that song at the studio in the old building with the intention of re-recording in the new one. We set a date and Rebecca and I went into record and that day I just couldn’t do it. We used the original recording for the album. LJN: There is that cliched idea that the deepest art comes from tortured souls, etc. But there is something about this album that suggests an underlying contentment, maybe a sense of arrival after years of searching? Or am I imagining things? SC: No, I don’t think you are imagining that! I find it so interesting that all of that comes across in these songs – perhaps not in any one but as a group this is more apparent? I had a grant from the Arts Council to help make this album. It allowed me to take my time to be exploratory and ambitious with the sounds I wanted to achieve. That was so important and a real boost to my confidence – I shall be ever grateful for the opportunities that decision continues to offer me. 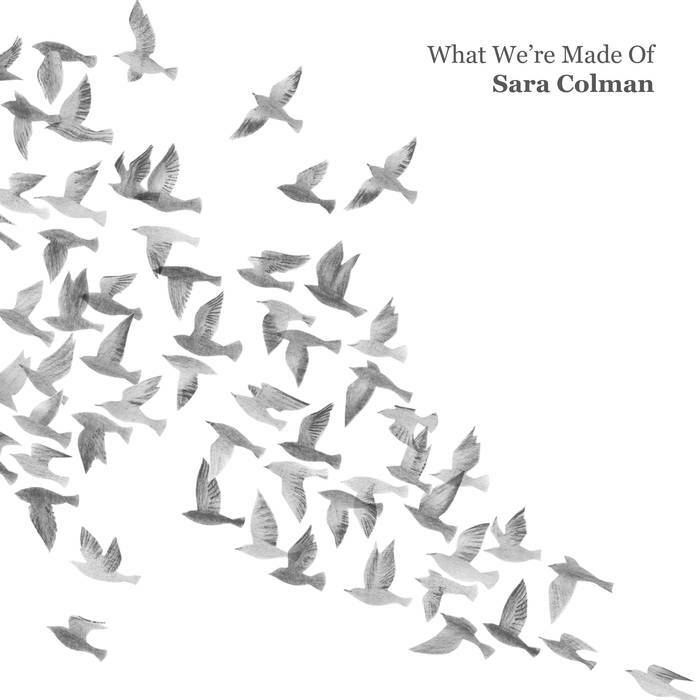 Sara Colman’s What We’re Made Of is released on Stoney Lane Records on 28 September 2018. This month Sara became a Royal Birmingham Conservatoire Recording Artist in Residence. 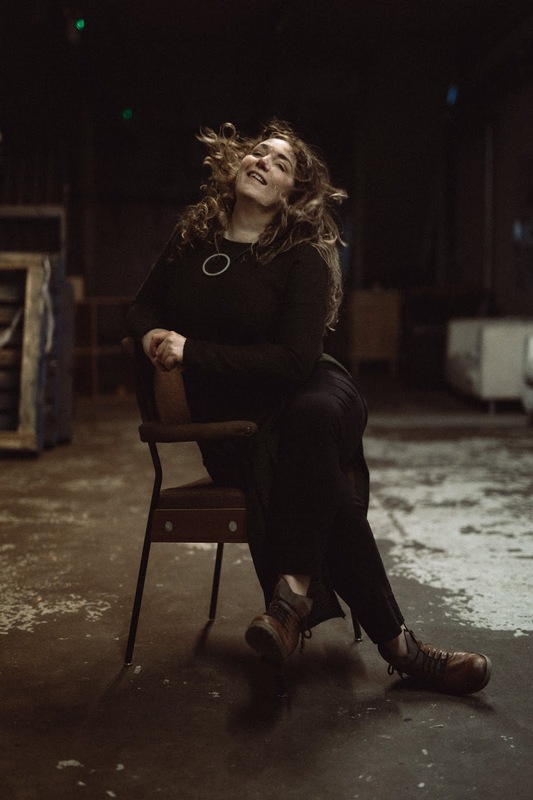 Sara and her band play music from What We’re Made Of and celebrate the songbook of Joni Mitchell at the CBSO Centre in Birmingham on Saturday 10 November for Jazzlines, Town Hall Symphony Hall.